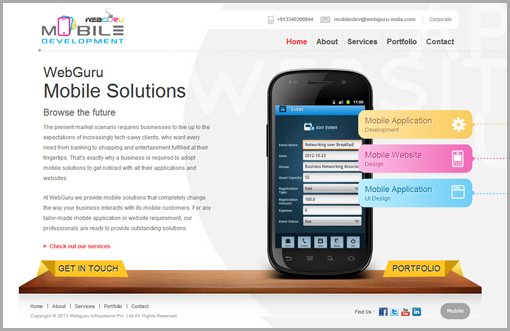 WebGuru now Offers Mobile Application Development and Mobile Website Design Solutions! Consumers are increasingly turning to tablets, smartphones and other mobile devices to access information and applications. 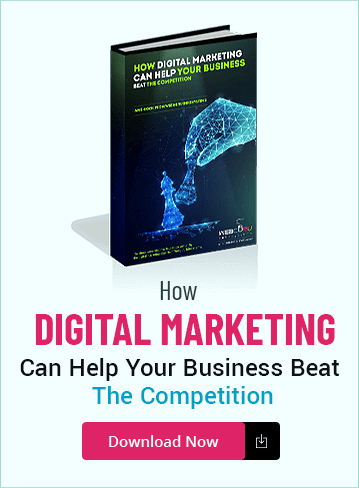 In fact, mobile usage is evolving so fast that it has compelled businesses to specifically think of mobile user experience while building their websites and applications, especially when businesses are dealing with a highly interactive online presence involving a complex series of data. 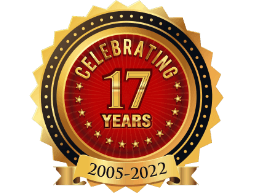 Keeping this in mind, WebGuru has forayed into mobile application development and website design. 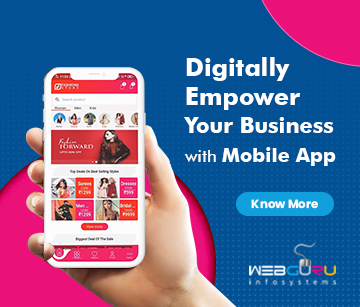 We are happy to announce the launch of our new mobile solutions in the field of mobile application development, mobile website design and mobile application UI design. Our mobile website design service will allow you to organize everything within your website in a format that is specifically suitable for smaller screens. Simplified navigation, visibility and accessibility will make it a pleasant experience for users. We are also offering a range of mobile application development solutions such as business applications, tools and utility applications and more. The applications are backed up by efficient application UI designs to ensure device compatibility and easy navigation.